This book comes with an overpowering smell, so if you are offended by the pong put two rabbit droppings up your nostrils and that should do the trick! This is the second book written by David, it has been greatly illustrated by the amazing Quentin Blake. I was sent a copy of the book this week and moved it up the pile, I think it was curiosity that made me do this. This is a very touching story about a young girl Chloe, who makes friends with a local tramp. Chloe's mum is running for election and one of her policies was for all homeless people or 'soap-dogers' to be banned from the streets. So Chloe decides to hide him in the garden shed. What follows next is a well written story, that reads in a similar style to that of Roald Dahl. It's a magical family read, with lots of laugh-out-loud moments. The comedy in this book is quite evident showing great wit and intelligence throughout the book. The touching and personal side to this book is well developed, bringing each characters story to life. I loved every page of this book, in some parts it was like reading poetry. A great original story that deserves to be read. I give this book five out of five and would recommend it whole heartedly. 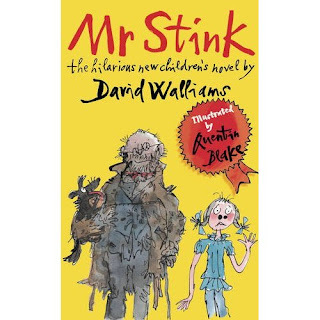 "Mr Stink stank. He also stunk. And if it was correct English to say he stinked, then he stinked as well!" Chloe sees Mr Stink every day, but she's never spoken to him. Which isn't surprising, because he's a tramp, and he stinks. But there's more to Mr Stink than meets the eye (or nose) and before she knows it, Chloe has an unusual new friend hiding in her garden shed. As Chloe struggles to keep Mr Stink a secret, and her dad tries to hide a secret of his own, the stage is set for an epic family confrontation. 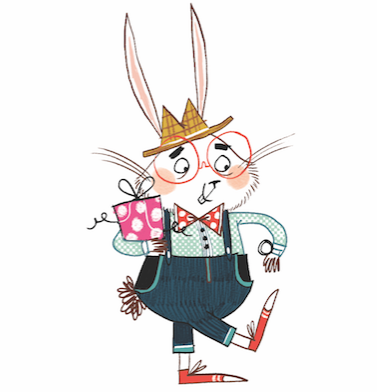 But there's one other person with a an extraordinary secret -- Mr Stink himself!